The mission of this unique organization is to be a Lighthouse to guide you back home, back to your true self. To achieve this goal they have designed inspired programs, ever-evolving gentle yoga practices and life-enhancing healing tools. And all these tools will help you to raise your energy and improve your well-being. Any of these programs provide a fully aligned experience of body-mind-spirit. You will be revitalized, re-energized, and more connected with your true self after completing Janine Fafard’s yoga sessions. Janine, a highly experienced yoga teacher with a great understanding of the yoga tradition, will guide you to a deeper place in your practice, and provide you with personal attention. These program are designed to help you learn easy, practical and simple tools to shift feeling tensed and fearful to feeling peaceful, joyful and creative. This 3 week long has been created focusing on the idea that releasing tension is the 1st key to transformation. During this 3 weeks you will find the real source, causes, and characteristics of your stress. You will learn few basic techniques to unplug and release stress, depression and anxiety. After releasing negative energies from your mind and body you need to recharge it with positive vibrations. This 6-week program expands on the Release program by diving deeper in the cause of your pain, erasing some wrong programming and connecting to your essential source of power. You have a power source, unlimited but locked! This program has been designed to help you reclaim this hidden power and unlock it. This 9-week program frees you out of a self-imposed prison, allows you to take the reins of your life and unleashes your full potential, power and passion! These programs are designed to help corporate people who hardly have enough time to research ways to relieve stress and live a healthier life. They are always so busy with so much to do. 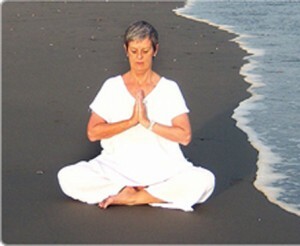 Incorporating simple breathing techniques, smooth yogic postures, gentle energy medicine exercises, short mantras and deep relaxation techniques, they have designed these yoga sessions. If you want perfect alignment of mind, body and soul then Yoga of Self Love is for you.